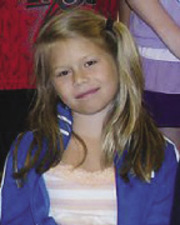 LONDONDERRY — Lily-Anne Heywood is already a budding philanthropist. Last year, when she turned 6, she decided to have her friends' parents give donations to the New England Patriots Foundation in lieu of presents. "Her mom put the seed there," grandfather Jeff Heywood said. For the past two years, Lily-Anne Heywood, now a 7-year-old first grader at Matthew Thornton Elementary School, has asked those she invites to her birthday party not to bring presents, but rather, to bring donations. The donations go to a charity of her choosing. "She is just such a strong-willed kid," said her mother, Jessica Heywood. "She really is something special." Jessica's birthday is Oct. 11, and this year, for her Oct. 9 party, she donated without hesitation to the Bella Tucker Fund. After months of renovations, rehabilitation, and waiting, Bella Tucker will arrive in her new home, here in Londonderry, on November 7, 2010. Just in time for the holidays, she’ll be surrounded by family, friends and those that have come to know (and love) her over the last few months as she explores her newly remodeled home. The completed home will include a new garage for her van, a rehabilitation room, hospital level heating and cooling, accessible kitchen, baths, ramps and an elevator. Londonderry, NH A large contingency of professionals from the design and construction industry have donated their time to assist with a 2,500 s/f addition/renovation for 8-year old Bella Tucker and her family's home. Bella is a quadruple amputee due to a recent near fatal infection, Streptococcus Pneumonia Sepsis with Disseminated Intravascular Coagulation.